We help you Follow Your Star(TM)! 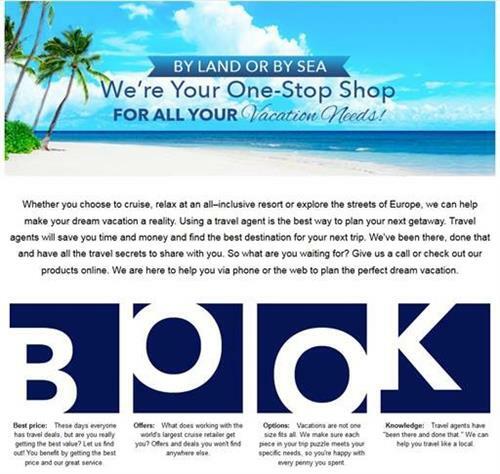 We are a full service travel agency offering cruises, both river and ocean, cruise tours, all-inclusives, etc. for groups, individual, corporate travel.